You can experiment with a quantum computer yourself with the IBM Quantum Experience. We are only starting to learn how quantum computers might work, and how they should be built. In the Computer Science department in Oxford, we investigate the foundations of quantum computation, motivated by questions such as: Why is quantum computing possible in the first place? What if quantum mechanics worked differently? How could we program a quantum computer? The University of Dalhousie is also a leader in this area. 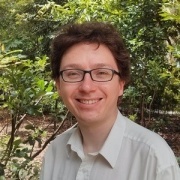 Jamie Vicary is a Senior Research Fellow at the Department of Computer Science at the University of Oxford, specializing in the mathematical foundations of quantum computers. 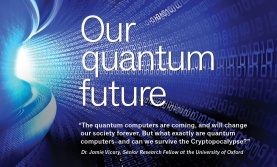 Dr. Vicary is part of the Quantum Group in this Department. Oxford is one of the world's largest centres for quantum computing research, with over 200 researchers spread across several departments. Details of this research can be seen at Oxford Quantum Research.